The Offshore Commander includes a sophisticated equipment pack including USCG/SOLAS pyrotechnics. 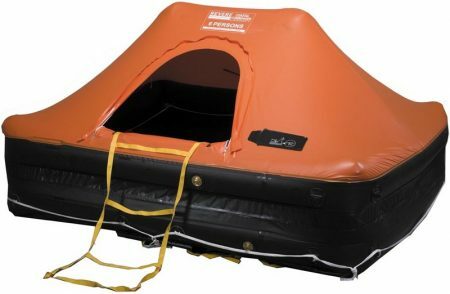 A Training DVD is included with the raft to help you prepare for use in an emergency situation. The Offshore Commander is vacuum packed to add greater protection against the environment and minimize servicing costs. If serviced according to manufacturer’s warranty program, the Offshore Commander comes with a 12-year limited warranty. • Sophisticated equipment pack including USCG/SOLAS pyrotechnics, signal mirror, bailer, flashlight, knife, rescue quoit, sponges, paddles, seasick tablets, repair kit and more!